I’m not one for whimsy in my own garden, but when I see it elsewhere, I can’t help but smile and appreciate the gardener’s sense of humor. I believe this was in Charleston, South Carolina. I think this photo was taken outside of Savannah, Georgia — just don’t hold me to it. 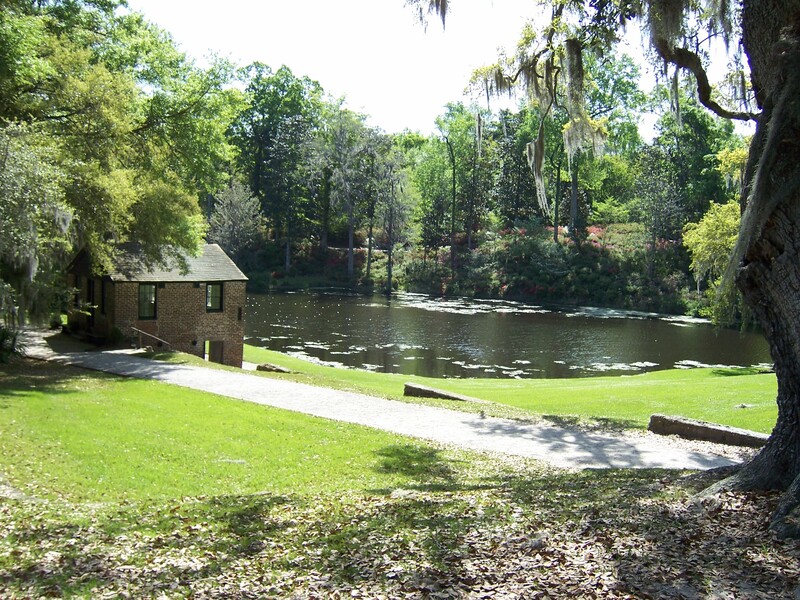 This one was definitely taken outside of Savannah, Georgia. 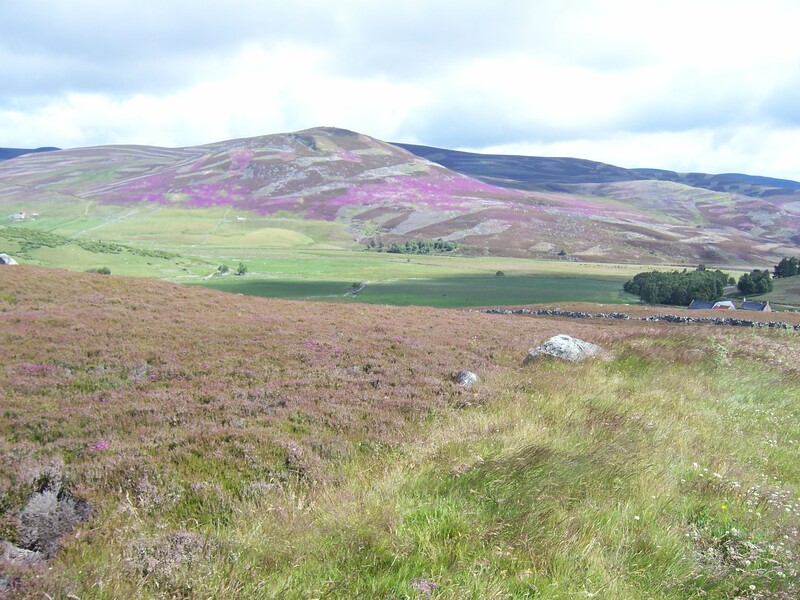 Scotland, for me, is one of the most magical, most beautiful places I’ve ever visited. There are bagpipes, of course, and my ancestors once lived there, leaving the port of Glasgow hundreds of years ago for the New World — and that genealogy tale could be its own post. Because it is so special to me, I feel I must add narration that’s longer than a caption. The photo below was taken of a garden in Stornoway, on the Isle of Lewis, in the Outer Hebrides. I say all this because this is my most northern journey, and the photo was taken in summer, late at night (notice the amount of sunlight). That amazes me; the earth’s maneuvering so the northern hemisphere leans toward the sun, creating an incredibly long span of daylight in this part of the world. It’s also amazing to see what does grow, because as long as a summer’s day is here, so too is a winter’s night — and yet gardeners are quite successful in coaxing blooms to appear. As proof, I’d like to offer up these garden blogs from Scotland with love: Island Threads, The Scottish Country Garden, Gardening at the Edge, and Aberdeen Gardening. While also on the Isle of Lewis, Joe and I visited the Callanish Standing Stones, a stone circle dating from 3000 BC to 1500 BC. Inspired by Diana Gabaldon’s Outlander series, I kept walking in and out of the circle, hoping to fall into a vortex of time to the past. Although I never traveled back in time — not even for a second, I did find myself fascinated by the ever-present thistle. While driving through the Highlands, it’s important to stop and look behind you — or wherever the sun happens to be lighting up a hillside. That way you can see what amounts to a living watercolor of thistles and heathers and grasses. And now for Spain. . . 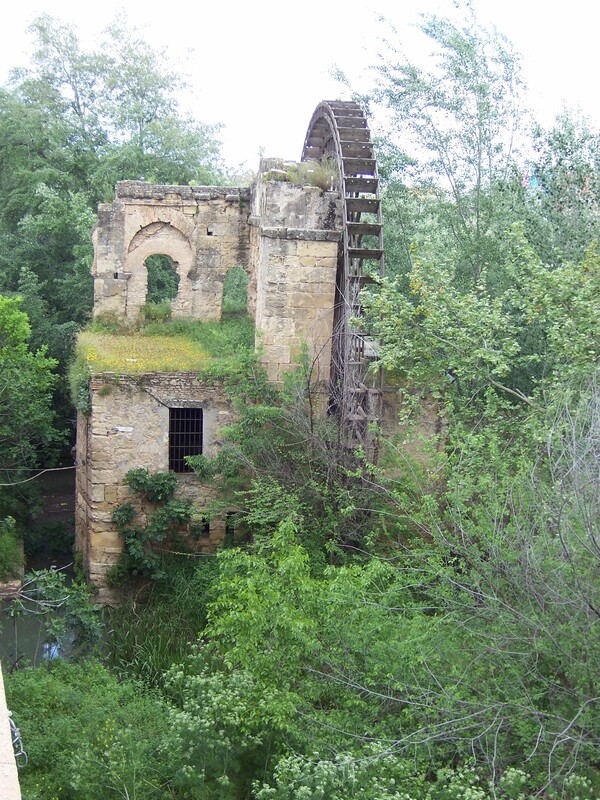 The ruins of a water wheel in Cordoba. This did not appear in any guidebook, but I like the way nature overtook something not in use. 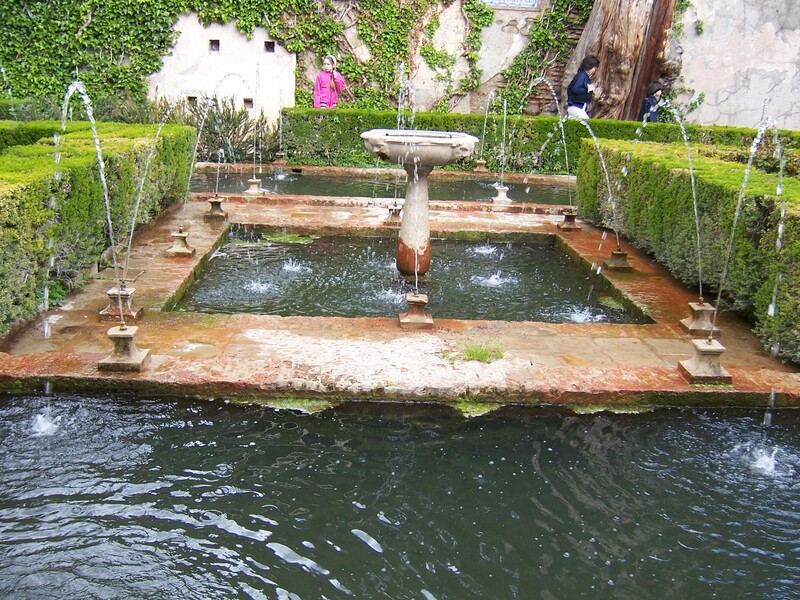 The photo at the start of this post was taken at the Alhambra, a palace/fortress in the heart of Granada that is prized for its history, architecture, and gardens — which incorporate water in a way that is both practical and elegant. Who says a garden can’t be made of candy? 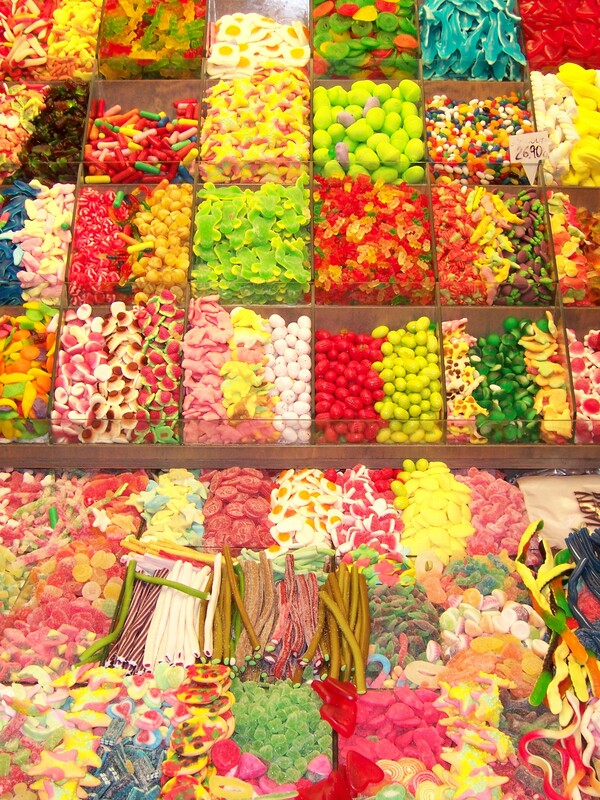 This tasty display was found at the Mercat de lo Boqueria in Barcelona. The final picture on our tour is also one of my most favorite photos of all time. When Joe and I arrived in Pamplona, we checked into our hotel, climbed the stairs, and opened the window. Leaning out to see our view, we realized the hotel was adjacent to a convent — and from our window we could see into its walled garden, where we spotted a lone nun. I immediately wondered what she had been doing. Planting? Pruning? And could I lend a hand? Please? Happy gardening and happy travels! ← The Giveaway Goes To . 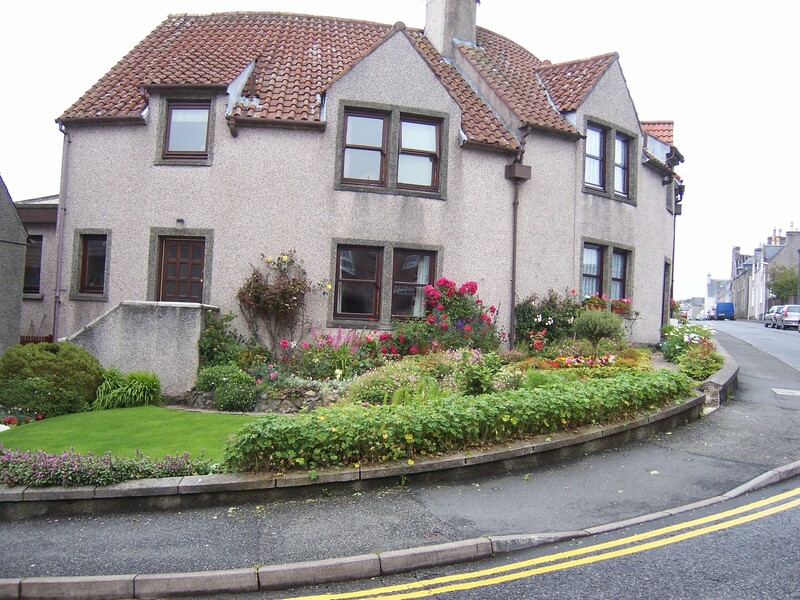 . .
Hi Kevin – thoroughly enjoyed sharing your holiday memories and delighted to see Aberdeen gardening get a mention. Hi Alistair. You’re very welcome! Be well. I love the waterwheel. It’s a little like looking at recent photos of the Chernobyl Exclusion Zone: Mother Nature taking back places we’ve discarded and forgotten. There’s a hopeful feel – a hint that she may be able to heal her planet once we’ve gone. I’ve got to go unearth my Lucid Druid CD; I have this sudden urge to hear pipes. Hello Linda. Many, many thanks. Peggy! Thanks for you comment. Be well. 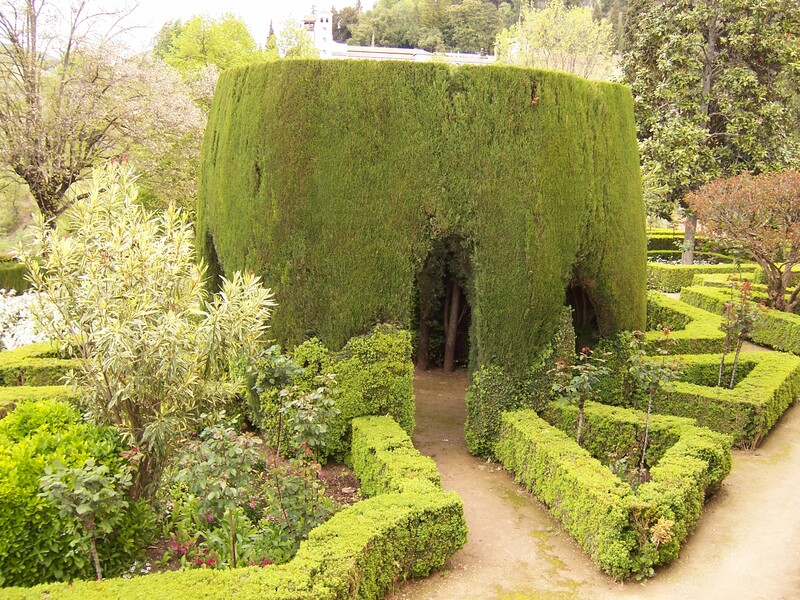 Beautiful gardens…I love that walled garden, too! Hi Cindy. 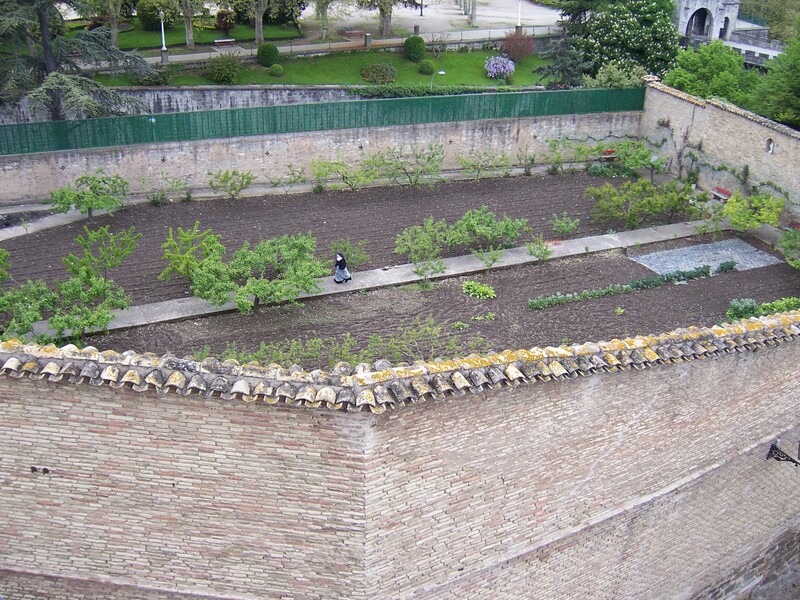 There’s nothing like a walled garden. Secret and magical. I love a formal garden. There’s just something about those perfectly pruned hedges. Hi Lori. With a snowstorm approaching, I can honestly say that the only thing I truly enjoy about snow is seeing it fall on my knot garden. I love the structure — especially in winter. Be safe out there. I love these photos ..thank you for sharing. My pleasure. It’s always fun to relive vacations. Glad I could share them. Hi Kevin, very many thanks for the mention! Most honoured! 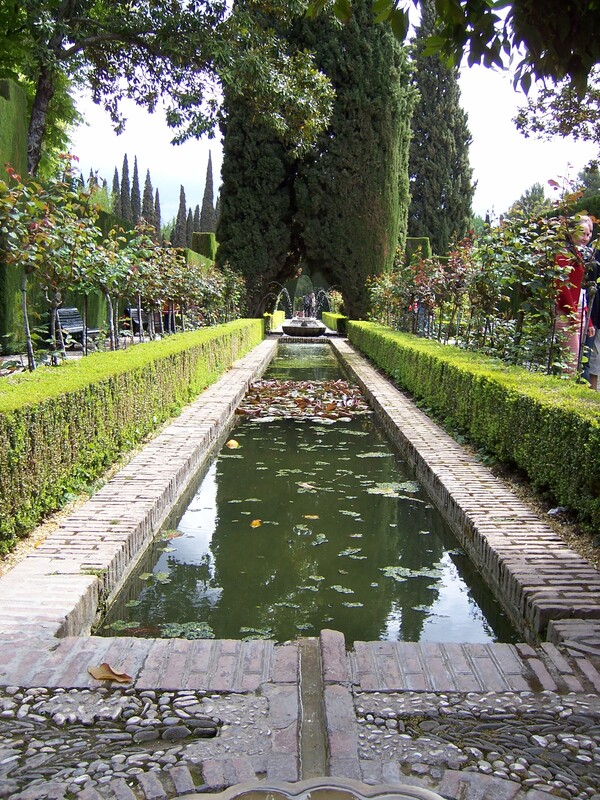 Enjoyed seeing your pictures of Alhambra- now that’s a place I’d like to see! Greetings to you! Hello. I’m a fan of your site — and your greenhouse. 🙂 You would love the Alhambra. The gardens and architecture are amazing. Thanks, Kevin. I remember seeing a TV programme about Alhambra a few years ago and it did indeed look awesome! That is obviously an airstrip in the last photo, and she is either taking off or landing. 🙂 Ah, yes, the flying nun! These pictures are pure torture!!! I just had to postpone a much anticipated trip to England because a friend’s residency Visa hasn’t come through yet and she’s stuck in the US. I really wish I could click my heels together and visit all those places. I’ve been to Charleston and Savannah. LOVE THEM! Sorry to hear about the postponement. Someday, you’ll be there. I love Savannah, as well. It’s a city built for strolling. Lovely holiday pictures, I haven’t been to Scotland but being from Norway I know what bright summers evenings and dark winters means. Gardening in our part of the world is mainly possible because of the lovely Gulf Stream coming from Florida, London is zone 9, many winters more like zone 10. Hi Helene. I was so surprised to see palm trees in the southwest corner of Scotland — but the effects of the Gulf Stream make perfect sense. Amazing what this planet is capable of! If you have an iPad, a very fun travel app is TourWrist. Travelers upload their 360 degree photos — so you could be in your living room but stand in a cathedral. Very cool! 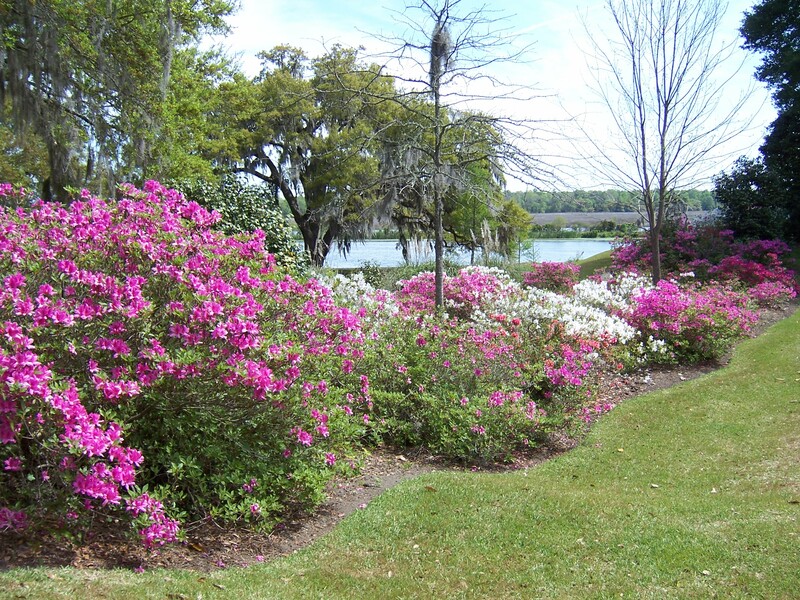 In all our travels, my fave place for gardens in this country is Savannah and Charleston. They just seem to do it right! I agree with Ann. I thought the same thing when I saw that water wheel. Hi Sissy. That’s an interesting observation about the water wheel. In my response to Ann, I mentioned a recent show called “After People,” which looks at how the planet would change if people disappeared. Be well. Oh Kevin, you sure get around;) Gorgeous pictures! Beautiful memories again, Kevin! 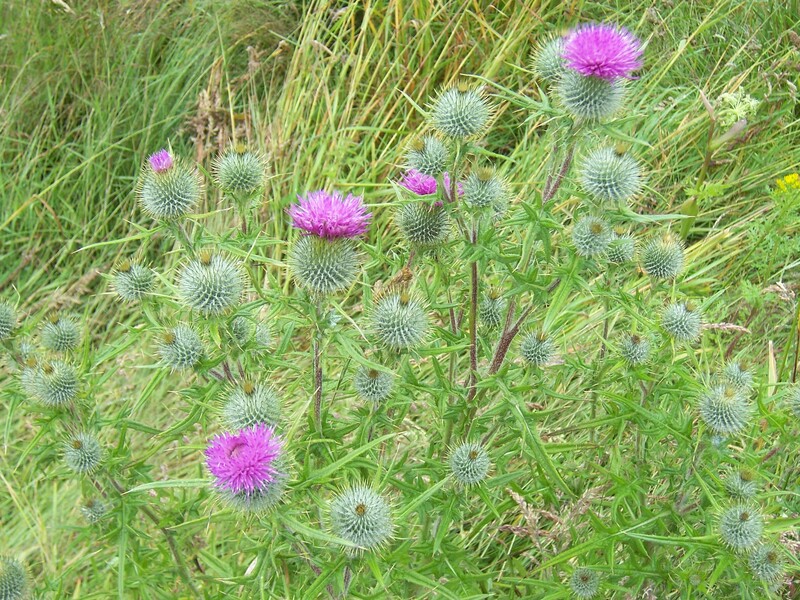 The scottish purple hillside is fantastic, until you find yourself running down that slope full of thistles at least… I think thistle is one of the symbols of Scotland too, isn’t it? I always say I have to go to Alhambra. It must be amazing. Seeing all these beautiful gardens just reminds me of the labor and resources required to create and maintain them. A labor of love, each one, and mandatory trust funds for each. Hi Diane. Well said — and the architecture at the Alhambra is incredible. It’s incredible to think of stone as light and delicate. Love your post! Thought u had traveled to visit my cousin in GA. But no just looked like his pond and garden. So finding out u r also of Scottish descent has me asking myself this question wonder how many gardeners r and is it just in our blood? Sometimes I feel as if I will suffocate if i can’t get my hands in the dirt. Keep up the good work! Spring is just around the corner, wishing u an early spring and bountiful summer! Hello and welcome. I don’t know if the Scots are prone to gardening, but I think it is one of those genetic or heritage things — something that connects us to our ancestors, no matter our tribe or clan. Thanks for commenting, and warm thoughts right back at you. Wonderful photos! I’ve spent some time in Savannah, but that’s about it! I love the photos of Scotland. My grandmother was born and raised there, not coming to California until she was 15–and yet I have never been. You have had some wonderufl travel experiences! Hi Debra. 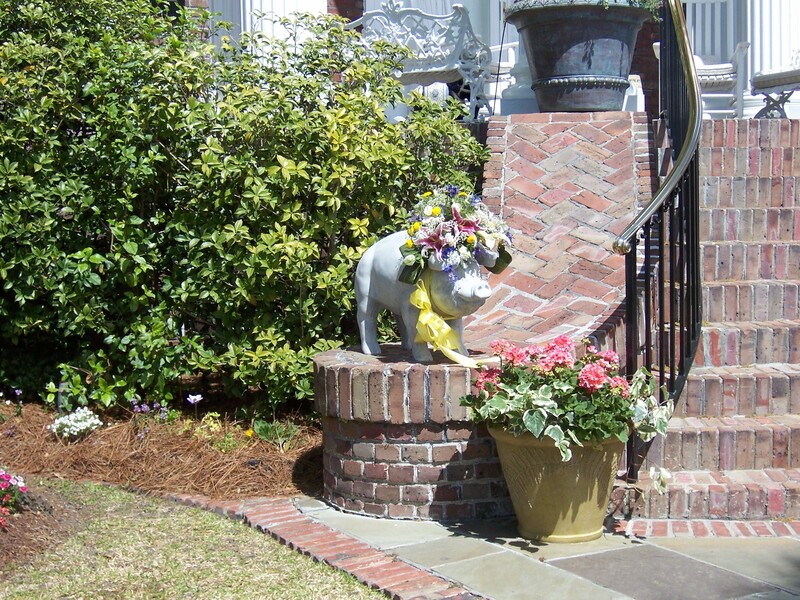 Savannah is easily one of the most walkable cities — and a treasure if you love gardening. So many gardens and courtyards in which to peek. And I do hope you get to travel to Scotland. Magical! hello Kevin, I haven’t been blogging and reading blogs so much recently but I am glad I caught this post, the garden in Stornoway I know well and pass frequently, it belongs to an elderly couple (like me) and you often see them working in it in the summer months, there is always something of interest it their garden. 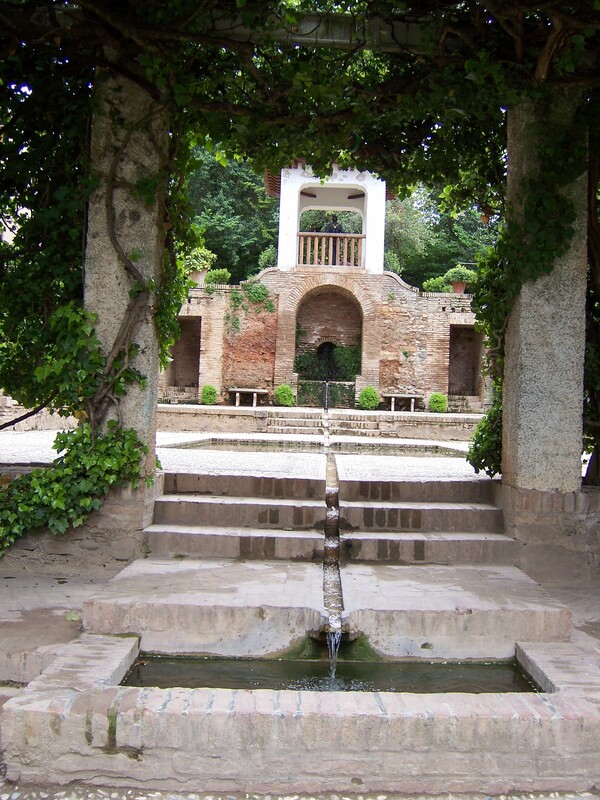 I travelled with your photos of Spain having visited both Granada and Cordoba in the 90’s, I never saw the waterwheel though, I’ll keep that in mind should I be lucky enough to visit again, the first time I visited the Alhambra I was lucky enough to join an evening visit to the gardens when they were lit up, it was beautiful. Hi Frances. Great to hear from you — and I am so excited to learn that you are familiar with the Stornoway garden! 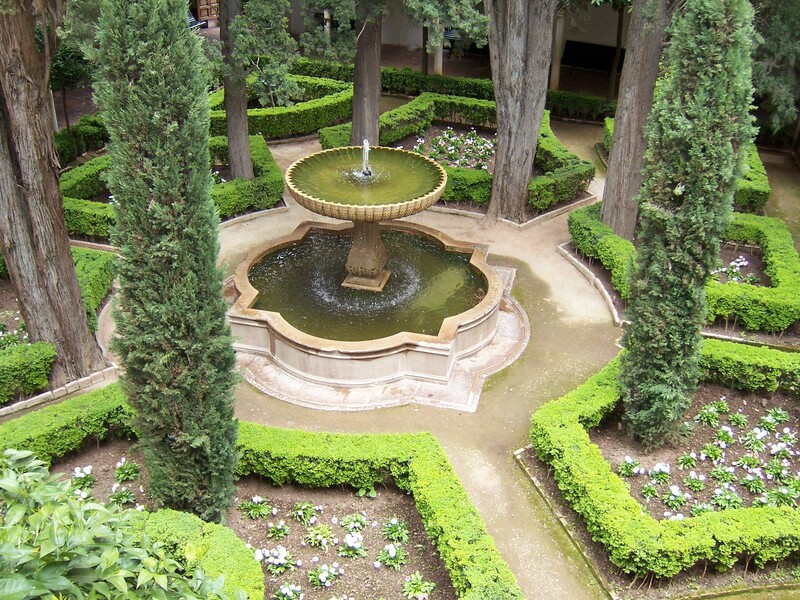 The Alhambra was spectacular by day — I could only imagine what it would be like at night. If I return, I’ll take your suggestion. Be well!